Did anyone else go to BCF Club night? We went to BCF Club night at Virginia last night. We arrived late and didn't know we had to register on arrival so weren't eligible for the lucky door prizes. bugger! The first speaker basically did a long advert for Shimano gear. He referred to the Stella as the Rolls Royce of reels, then later called the Sustain the Rolls Royce. I thought that was pretty funny! The second speaker Thommo cooked damper and something else I didn't watch because I was wandering around the store at that stage. Didn't stick around for the Ecogear talk. Just wondering if anyone else got anything out of the night? You normally get an email when the store you specify as your 'home store' is having a night. People normally post them on here too and you can register and attend any. HAve been to Brown Stains and also the Ipswich one and if it wasnt for having a sausage and chinwag with fellow AFO members then wouldnt go to any more. I mean really how much of Thommo and his donut joke can one person take! I got invited to the virginia one too, Ive been to a few around the place but either the guest speaker seemed to be in a bit of a rush, or his talked seemed to be aimed more at the beginer (which is perfect when you think about it cause thats BCF in a nutshell, anyone who's got more than two weeks under thier belt knows you can get better deals at big w) haha.. hope that doesnt stir anyone up.. I thought the first one was alright but i could have just fell for thier flirting with me using sausages and free cans of coke, I was pretty keen to win the electric motor so I hung around, but all I won was a bright pink Wahoo frisby.. excellent!! queensland Easter Fishing What’s The Plan Mr Wolf? Just been given a contract for remainder of the year at Childers for Edqld. So I know it is 45mins to Bunderberg, 45mins to Burrum Heads, 45mins to Maryborough and 45mins to Hervey Bay. but I mostly fished with the Damiki 3" shads on a 1/6th head in skin blue. Within the first 5 casts I was on to what I thought was a big flatty, but instead up comes this horse. He went 37.5 to the fork. Which is a new PB for me, I've never even seen a bream that big apart from in the mags. We picked up about 20+ smaller bream between us, then I managed a small Jewie about 35cm. Old mate picked up another grassie as well. We went out on Monday as well, same thing a heap of bream a few flatties from the banks, and old mate netted a nice Jew going 68. Still yet to crack that 75cm. Could anyone tell me whether u can go up onto the flats near the marina just up from the jacobs well jetty at low tide? We tried last week and the sounder came up with 20cm of water. Caught up with a mate of mine while I was overseas and he asked if the rigs I make would work off-shore in Florida. 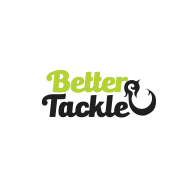 Since we are only a small hobby business and are not an actual online tackle store and a manufacturing business we did not really have much funds for advertising as Better Tackle is a labor of love not profit. ( Our whole business model is to make better rigs then you can make yourself or get from the big name companies that sell similar pre-made rigs). So I sent him home with a few of our rigs and mentioned that the Cherry bomb and the Irish Eyes as well as the Blue Sunrise are my personal favs for reef fishing. What he was most impressed about was he just rolled the rig back onto our unique rapid release winding boards for the next trip. But check out this trigger fish. Its a bloody beauty. oh and coincidentally the 20% discount I have done up for members here is still available . The code is Aussiefishing, Just add that at check out as I like to give back to a community I enjoy being part of. Hope you are all wetting a line this weekend or wetting your thirst or both, as I am want to do myself. Please donate to support AFO. We appreciate all donations! How About That Tagged Bass? Any Sparkies In Redlands Area. Hi and a few bass before breakfast! How addicted to AFO are you? Gold Coast Game Fish Club Inc.